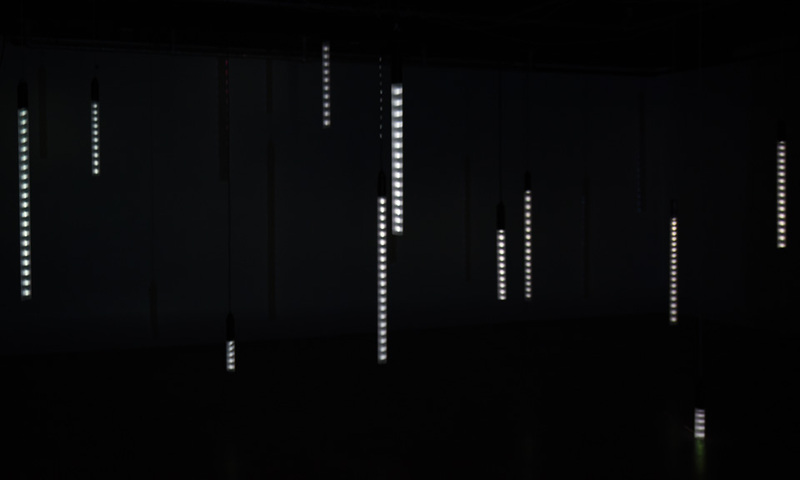 This week-long residency in the Hexagram production studio was dedicated to building several experiments on expressive interaction with lights and non-representational video projection on distributed, non-planar and non-uniform surfaces. 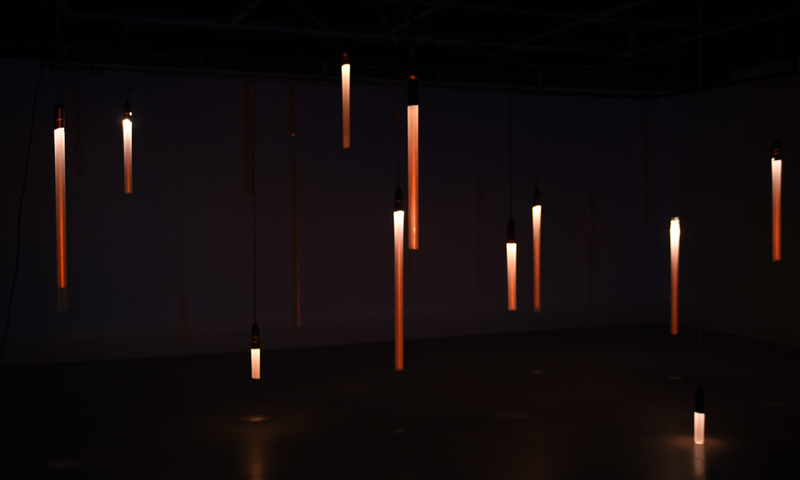 The experiments were based on a spatial installation of translucent light tubes that were alternating between incandescent light and video projection mapping to render interaction, presence, and movement in space. The lights were mapped to position tracking, gesture rotation and acceleration, and sound amplitude visualization through light variation. 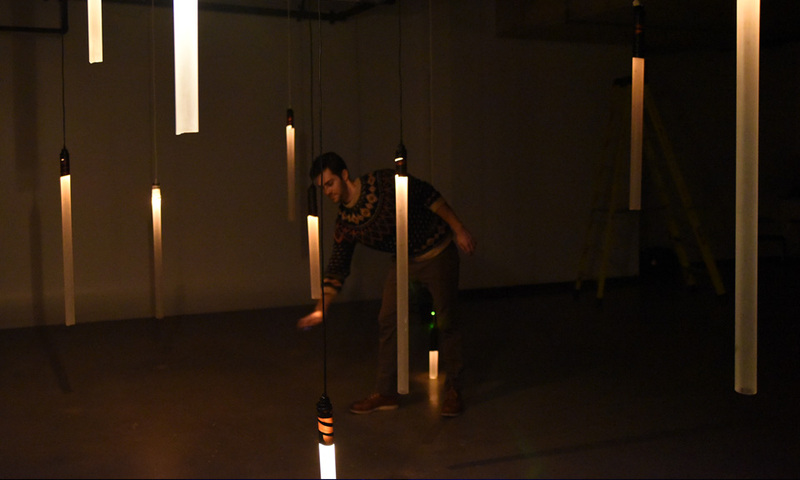 The resulting sets were prototypes for larger distributed installation systems that promote play and curios exploration in the space.